Born in occupied France during World War II, he is an American businessman and entrepreneur. In 1942, his father brought the family out of German-occupied territory into Spain, and subsequently into the United States. Educated at UCLA on the west coast and at Harvard on the east coast, he became best known as the founder and Chairman of Digital Consulting Institute (DCI). He and his wife started DCI in 1982 from a basement office in their Lynnfield home. The company grew to more than 150 employees at its headquarters in Andover. As of 1998, DCI was the largest American-owned information systems conference and trade show company, holding small to large seminars across the world intended for professional audiences. As Chairman, he forecasted industry trends as well as identified new fields of opportunity for DCI trade shows. His input was crucial in the company's compounded growth rate of 30% per year through the 1990s. DCI's revenue was generated from ticket sales to participants who attended their seminars, trade shows, and other events, as well as from the contracting and selling of booth space to vendors participating in their shows. DCI also ran trade show events for other companies such as Sybase, IBM and Microsoft. During his time at DCI, he was credited as having consulted major clients such as Cullinet, Computer Associates, Revelation Technologies, Hewlett Packard, Sybase, AT&T/NCR, DEC, Sequent Computer Systems, Borland and IBM. By 1998 DCI had become one of the most significant American conference and expo companies in the field of technology. His expertise on database, computing architectures, the Internet and information management issues also inspired him to travel to many countries presenting lectures that gave his views on the latest computer technologies and probable directions for the future of computer technology. As of 2004, he had given over 1,000 seminars for other technology professionals in countries such as France, UK, Belgium, Venezuela, Canada, Mexico, South Africa, Japan, and Australia. He received his Bachelor's degree from the University of California in Physics and Mathematics in 1961. He was then accepted into Harvard University, and there received his Master's degree in Applied Mathematics and Computer Science in 1962. In 1966 he received his Doctorate from Harvard Business School in Marketing and Computer Science. After graduation, he spent time lecturing and held a faculty appointment at the University of Southern California, Harvard, MIT, and the University of Alabama. Prior to founding DCI in 1983, he was Vice President and CIO at the American Mutual Group of insurance companies in Wakefield, Massachusetts. There he was the Senior Manager for the administration of a multi-million dollar computer budget and 200 full-time personnel handling all data processing for the American Mutual Group. He has been the inventor and chairperson of computer industry trade shows such as Database World, Client/Server World, and Creating the Real Time Enterprise. His lectures have scored 9 on a 10 point scale and were noted for underlining and explaining technical issues, while focusing on the business benefits and uses of technology. He authored the 1985 book “Data Management: Past, present and future” (Critical technology report), as well as co-authored the 1994 book “Rightsizing Information Systems” (Professional Reference). He has also authored or co-authored over 100 articles or columns in leading computer industry journals such as Computerworld, Datamation, Client Server Today and Data Based Advisor. In 1998, he was a recipient of the IEEE Computer Society's Computer Entrepreneur award for his important contributions to the computing industry and profession as an entrepreneurial leader, advisor, and member. Other recipients of the Computer Entrepreneur award that year were Bill Gates, Paul Allen, Steve Jobs, and Steve Wozniak. He was also the recipient of the Outstanding Industrial Engineer of the Year award from the Institute of Industrial Engineers. Additionally, he was a fellow of the American Association for the Advancement of Science, and had CDP certification from the Data Processing Management Association. In March 2000, he was recognized in the MIT Sloan School of Management alumni magazine for his philanthropic contributions towards MIT. In 1998 he donated money to MIT Sloan for the endowment of a Professorship of Management Science chair. Currently this chair is held by Erik Brynjolfsson. 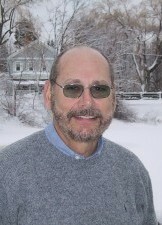 Although he was not an alumnus of MIT, while a graduate student at Harvard, the classes he took at MIT gave him an early foundation in computer storage and retrieval techniques, which later proved valuable as he became expert in database technology.